An adventure that follows Yuri Lowell, a former Imperial Knight, as he travels around the world of Terca Lumireis looking for his neighbor's blastia core. Along the way, Yuri gets pulled into a whirlwind of different exploits, meeting new characters and traveling to different locations, ultimately being dropped into the middle of an evil scheme that threatens the survival of the entire planet. 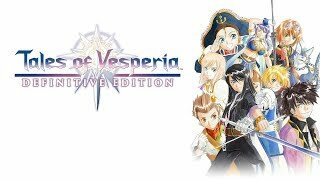 1/11/2019: Tales of Vesperia: Definitive Edition is now available on PC, PS4. Switch, and Xbox One.